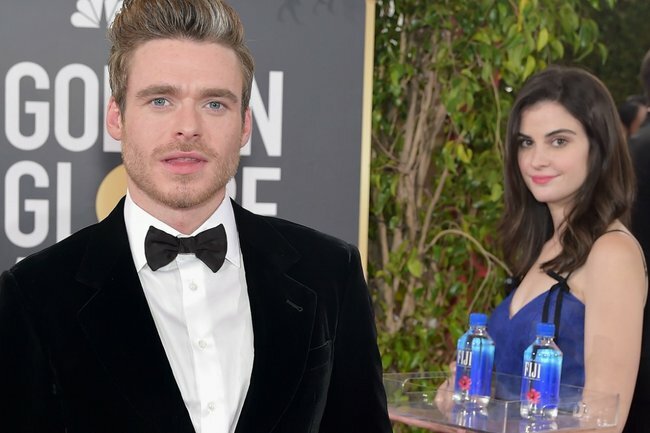 There's something a bit fishy about the Fiji Water girl at the Golden Globes. There's something a little bit fishy about the Fiji Water girl meme. We need to talk about the biggest international bottled water conspiracy of our time. You see, at this year’s Golden Globes there was one clear star. The person who garnered the most media attention around the world wasn’t an actor or a director or a screenwriter, or even the partner of a more famous spouse. 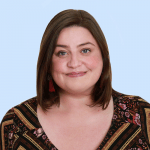 It was a former mental health and addiction counsellor named Kelleth Cuthbert. Kelleth, who is now a model, walked the red carpet at Sunday night’s award ceremony in a long navy gown. In her hands was a silver tray holding several bottles of Fiji Water. She appeared in photos behind The Bodyguard’s Richard Madden, Crazy Rich Asian’s Constance Wu, Idris Elba, Amy Adams, and Jim Carrey, just to name a few. Within just minutes of the red carpet coverage commencing, Kelleth became known as the #FijiWaterGirl. Her ability to photo-bomb some of the biggest names in Hollywood, while shooting the camera a knowing look, made her an instant social media sensation. It seemed like the Golden Globes had gifted us an expected gem from meme heaven. That Kelleth just happened to appear in the background of some of the most published photos from the event. That her expression just happened to be very meme worthy. That Fiji Water just happened to become a trending hashtag. But I smell something… fishy. Is the first meme of 2019 actually the result of cleverly executed viral marketing campaign? Did we all just unwittingly give Fiji Water millions of dollars in free advertising? While the ceremony was still going, Fiji Water posted a collage of Kelleth’s best moments on their Instagram… almost as if they were in on the joke. The caption reads: “And the award for Best Supporting Actress in Every Picture goes to… #FIJIwatergirl”. Then this morning Kelleth created a Twitter account. At the time of publishing it already has over 1000 followers. So, within the space of 24 hours, Kelleth has become one of the most recognisable faces in the world. And Fiji Water has become one of the most talked about brands on social media.